I had the privilege of working closely with author Corey Sommers as a consultant for two years until Whiteboard Selling was sold to Corporate Visions in late 2012. 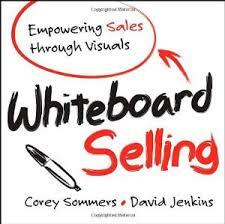 This review of the book Whiteboard Selling - Empowering Sales through Visuals, by Corey Sommers and David Jenkins is an insider’s perspective. I wish I had this book when I started working with WhiteboardSelling in December 2010, as it would have accelerated my learning curve. Training the sales teams to do the whiteboard. Thanks to Corey and Dave, this process is now in the public domain and open to anyone to use. The book is well-written and well worth the meager investment for anyone interested in whiteboarding. Here's why you should buy it. In the two years with Whiteboard Selling, the typical client-messaging baseline for developing the whiteboard was 5/10 for clarity. 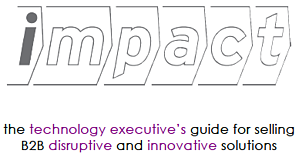 Messaging existed in the form of PowerPoint, .pdf’s and ideas in various contributor's heads. 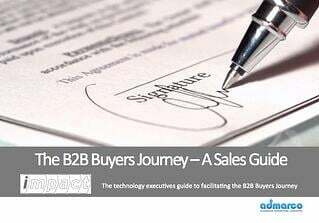 The process of defining the whiteboard story is clearly outlined in the book and helps the whiteboard author to clarify the buyer’s issues and to focus conversation on relevant product or service capabilities using the right whiteboard structure for the buyers maturity in their buying process.... this is important! There is a difference between a "Why Change" whiteboard story for a first call on a prospective customer and a "Why Me" whiteboard story at a closing meeting on a prospective new customer. The differences are spelled out in the book and will help salespeople go from a 5/10 for clarity to a 9 or a 10 by the time they complete the whiteboard development process. Whiteboard styles and design templates are included for each stage in the buying process.... these are invaluable for rookie whiteboarders. 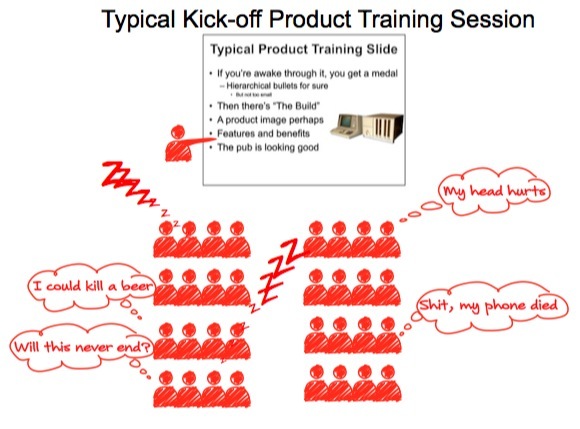 Despite best efforts of product managers in sales kick-off training sessions, very little is retained from a typical PowerPoint based product training session. The only thing memorable most salespeople bring home from a typical sales kickoff event is hangover. Magic happens when you engage salespeople to do the product training using a whiteboard. 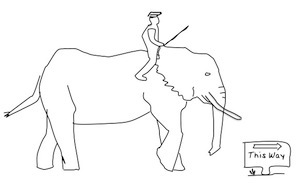 The process of iterative role-playing - of presenting and watching and listening to the whiteboard development repeatedly, engages the whole brain and all of the senses. I observed thousands of salespeople walk into training rooms having never seen the whiteboard story and doubting their ability to whiteboard. The same salespeople left four hours later capable of delivering the whiteboard the next day - they owned the message in just four hours. This book outlines the path to creating a sound whiteboard story that can be used to get everyone in your sales and channels team on message and to make it stick. Unless you happen to be a visual and cognitive genius capable of inventing images and story on the fly, don't expect some magical force to guide your pen. You'll never get up to the whiteboard and create something meaningful if it does not already exist in your mind. WhiteboardSelling methodology and process IP are now owned by Corporate Visions after they acquired the company in August 2012. David Jenkins and Corey Sommers have both moved on, however they have left an indelible entry in the canon of selling literature and their book Whiteboard Selling is highly recommended. You can order it here. Billions of dollars are spent in the technology business every year to bring sales and support people together for sales kick-off events to start the new sales year. These events are a celebration of the achievements of the prior year and offer a chance to; recognize individual performers, refresh on corporate strategy, a product update, and often a product training session. Apart from a good time and hangover to remember, salespeople typically leave the kick-off event with little more than they came with. Despite best intentions of organizers, this is sadly the case and sales and marketing leadership need to take a more qualitative approach to planning kick-off outcomes. Why Bother with a Kick-off? This is a good question and one that event planners and sales leaders are finding increasingly difficult to answer. Cisco has saved a small fortune since they scrapped their nation-wide kick-offs, which are now held virtually in regional offices. 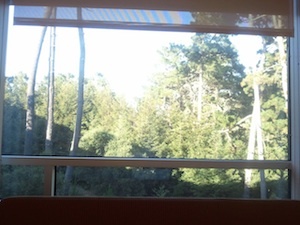 A day of speeches and death by executive PowerPoint presentations over a videoconference to remember - I'm told (not). Given the huge investment in time and money to stage a kick-off and the risks involved, salespeople should take something home of value that they can use as soon as they return to work, other than the memory of a good time. Product training on a newly announced product, a recently acquired companies product, or a refresher on existing product is often a driver for bringing sales team's together for an event and part of the business case to fund kick-off events. management/marketing team is that salespeople will not begin to sell the new product in the volumes the company would like until at least 12 months after introduction - on average. To get true product ramp time, we need to add the time it takes for the core group to get comfortable selling the new product (6 months), to the time it takes for the sales cycle, from lead to close and let's use 6 months as an average cycle time in our example. Let's assume that the sales team has an inbound lead conversion system that works and a supply of sales-ready leads are available from the day they are trained in selling the new product. Using a traditional product marketing route it will take about a year to get the core group to sell-though... so at the next kick-off, the product management team will finally start seeing the results they sought in the prior years kick-off. I looked for a study on ramp-times for B2B software products after introduction and the closest thing I could find was this chart from CSO Insights 2012 Sales Performance Optimization survey of more than 1500 B2B companies. Question: What if you could cut 90-120 days from the new product ramp time? - what would that do for your revenue and profit? Question: What if you could embed a process into new hire training and use it at your next kick-off to get everyone trained and capable of selling the product, the day after training? In these enablement sessions, salespeople engage in intense 1:1 role-playing sessions using visual storytelling and a visual confection that is fully scripted and peppered with best practices discovery questions, common objections and counters to those objections. At the end of the session, salespeople will have seen or presented the visual story up to 9 times and they know the story and can engage customers the next day. We have received numerous emails with feedback from successful salespeople who have used the visual confection in the weeks following the training to identify and close multi-million dollar deals. As with any behavior change initiative, disciplined practice, coaching and feedback from sales managers in the weeks and first few months after a visual storytelling event are key to getting ROI and cutting the ramp time for sell-through of new products. Without coaching and regular practice/use of the visual confection and script, salespeople may revert to their comfort-zone and to leaning on PowerPoint to tell their story. We recommend creating an expectation in the sales team that the Visual storytelling approach is here to stay and not an option and they will be required to pass a certification role-play in front of their managers. Users of PowerPoint like it because it's easy to create and modify presentations and that's the good news. The bad news is when you are on the other side of the presentation - in the audience as a salesperson at a kick-off, or as a prospective customer in a sales or marketing presentation or in a business setting. In November and December this year as a certified affiliate of WhiteboardSelling, I completed six WhiteboardSelling Enablement Symposia on three continents. I wanted to share thoughts and the lessons learned from this immersion in different cultures and the general applicability of the WhiteboardSelling development philosophy and Enablement methods. I ran WhiteboardSelling Enablement events in Melbourne and Sydney in Australia, Cologne in Germany and here in Silicon Valley CA. The smallest group was about 25 and the largest was about 90 people. In every case, the WhiteboardSelling Enablement method was very well received and sales and support people had learned and could tell their story after this half day session. To illustrate how well this enablement method works, a new hire Pitney Bowes product manager who participated the WhiteboardSelling Symposium in Melbourne, gave a great Whiteboard demonstration to lead off the first session the very next day in Sydney. Our executive sponsors were well pleased with the training outcomes in every case. No matter how smart the development team is that created the whiteboard story, there is always a new perspective, relevant insight or an anecdote from the sales team that we learn at the Symposium that will enrich the whiteboard story. For this reason we like to hold a feedback session immediately following the enablement symposium to capture suggestions to improve the whiteboard. We have added an additional echo-back into our Admarco best-practices whiteboard development process to incorporate changes. In the same way that no battle plan survives contact with the enemy, no Whiteboard story survives contact with the customer and salespeople need to know the whiteboard so they can give it in any order and develop the customer conversation. then to forget the script once they have internalized it and become competent in telling the story. The WhiteboardSelling Symposium uses active learning methods in an environment that is an artificial, low threat way of getting salespeople out of their comfort zone to learn and practice telling their story. In real life the customer is going to say and do things that are unexpected and for this reason we suggest that salespeople practice the whiteboard and that their sales managers have them present on a weekly basis for the month following the Symposium to master the whiteboard. PowerPoint is a linear method of presenting that was designed to make it easy for the presenter to create and give presentations. Most PowerPoint sales presentations are by their nature fixed in structure and focused on the supplier and their products. 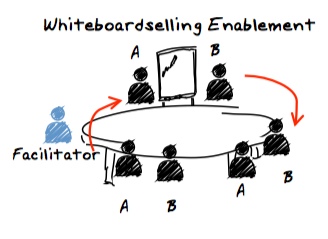 The WhiteboardSelling Enablement method is a rapid way to capture and enable salespeople to know and tell their story. In every Symposium we see individuals exercising creativity in telling their story...there is only one story, but you can tell it a thousand different ways. We coach salespeople to follow the buyer in conversation and let the whiteboard story unfold naturally from that dialog. Don't sweat if you don't finish, you may only cover half of your story in the time allotted and still achieve your meeting goal. Once you know the Whiteboard, you may not even have to do a whiteboard at all....just engage the buyer in conversation and stay in the moment. When faced with an International multi-lingual audience in the training environment, we recommend grouping tables of 6 by native language. The WhiteboardSelling Enablement Symposium may push individuals beyond their comfort-zone into the panic zone in the first round of presentations and having them present in their native language will reduce the stress of having to translate the whiteboard while trying to learn it. Black = Current state - the "as is"
Green = Future state - "as it could be"
Blue = Proof points, next steps. Salespeople should encourage buyers to talk about their challenges once rapport and trust are established and capture those challenges in red on the whiteboard. Getting the problems out and in red on the whiteboard enables the conversation to focus on the issues that are important to the buyer and to have your capabilities unfold naturally in conversation. We have all been in situations where for some reason the meeting is not going well and the buyer is not engaging in the conversation. I often get asked what to do in this situation. My advice is to bail-out. 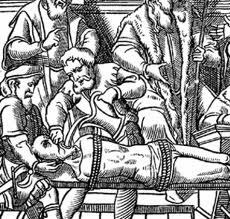 You could ask the buyer, "I get the feeling that now is not a good time for this conversation.....would you prefer that we reconvened at another time or with another group?". It may save you and the buyer time and if the buyer really is interested, they may re-engage. Channel sales enablement is an ongoing process of messaging, training, marketing, communicating, coaching and leading by example and when implemented correctly helps reseller sales teams to succeed in selling your products and services. Success starts with a crisp and clear value proposition, essentially a pact between you and the buyer: i. How is it exactly that you create value for your prospective buyers, ii. What can the buyer reasonably expect from using your products or services? I recall the early days in the channel at MicroStrategy, prior to the release of MicroStrategy7 and our first proper API; when not only our message was vague, but our code-base was vaguer; - a huge Visual Basic executable that was a bear for partners to interface their applications. We had a commissioned sales team pounding the streets signing up anyone who would meet with us and 90% of the partners we signed didn't open the box....sound familiar? 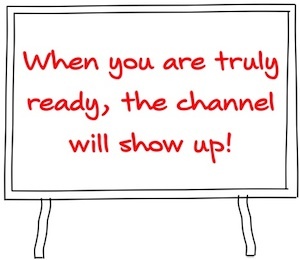 Lots of activity, but no pull through - you may have the channel sales enablement blues. The entire company from the HR Department to the mail room is fully on board with your direct sales approach. Your sales team only has time to handle inbound leads and has no time to think about finding their own outbound leads. You are producing a complete product that your customers love. Essentially, your conception of your value proposition is the same as your consumers, and you are meeting this expectation. If you are satisfying these criteria, yet continue to struggle with channel revenue growth, then you might find the following case study of one of Avnet's channel enablement initiatives interest. Avnet created WhiteboardSelling stories for their 3 top selling products (independent of the vendors) and trained 3,000+ partners globally to tell the story. Avnet and WhiteboardSelling created custom, interactive whiteboards for three Avnet product lines, including NetApp and Oracle, which they used to train sales professionals at their VAR partners. Based on feedback from the participating sales professionals, the whiteboarding sessions helped them to better position and differentiate the products in the market. Triage support for existing partners and define, focus, attract and recruit "Ideal Partners", who may be non-traditional software resellers if they are SaaS sales channels. Create effective messaging and train your partners to use it. I have been selling for nearly 30 years and have seen many sales training and enablement efforts fail to deliver sustainable results. Whiteboard visual storytelling that captures the core value from using the products and engages buyers in dialogue around their issues produces culture change and is highly recommended for channel sales enablement.